The Leader looks into the future and sets the Vision and the Direction. He is the Captain. In today's corporate world we call him the Director, CEO, etc. Dr. Misra is the National President of the National HRD Network. His areas of Interest include organization development, management training and leadership. He has been conferred with Outstanding HR Professional Of The Year Award (2004), by Mid Day Big Break and DAKS awards, Outstanding HR Chief Award by the National HRD Network (2000), and the HR Professional of the Year Award by the India HRD Congress (2002). 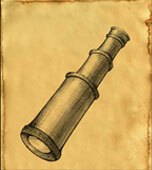 The Minister is the Efficient Manager who stirs the ship in the Right Direction and is Always in Action. He is the person who runs the show - the second-in-command. Vinita Bali, winner of "Business Woman of the Year" at the 2009 Economic Times Award is an Indian business person. 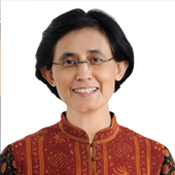 She joined Britannia in 2005 as the CEO and at present she is the Managing Director of Britannia Industries Limited. She has worked with global heavyweights like Cadbury's and Coca-Cola. 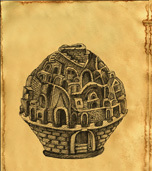 This emcompasses 'the globe' which is our market. No business can exist without a market to serve. It is the area of operation. The place and the people you serve and from where you get your revenue and cash flow. 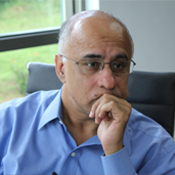 Subroto Bagchi is the co-founder of MindTree Ltd., an International IT consulting company. In April 2008, he was redesignated as the " gardener" and in this role he had to " repot and fertilize the human resources." He is the author of the best selling books, Go Kiss the World: Life lessons for the young professionals, The High Performance Entrepreneur and The Professional. Infrastructure, in todays day & age, is both Physical & Digital & it is the key to achieve the required momentum. It is the nucleus & the administrative center	of any organization. Mr. Raamdeo Agarwal featured on " Wizards of Dalal Street on CNBC TV 18" is the man behind the strong research capabilities at Motilal Oswal Financial Services Ltd. An Associate of Institue of Chartered Accountants of India and also a member of the National Committee on Capital Markets of the Confederation of Indian industry. 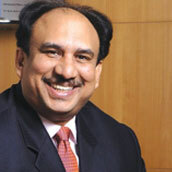 He has been authoring the annual Motiwal Oswal Wealth creation study since its inception. 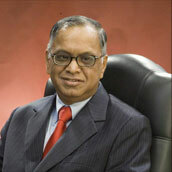 He wrote the book "Corporate Numbers Game", along with co-author Mr. Ram K Piparia. 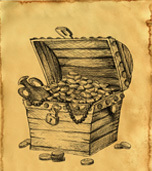 The Finance or Treasury is the magic box which fuels the vehicle. 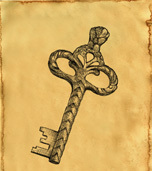 It is the backbone of any business & a strong & well managed treasury if the heart of any organization. 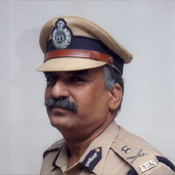 Dhanushyakodi Sivanandhan, the head of the Mumbai Crime branch had been promoted to the Police Commissioner of Mumbai as part of the after math of the November 2008 Mumbai attacks. During his tenure as the Joint Commissioner (Crime) for Mumbai, he conducted nearly 238 encounters with gangsters thus successfully tackled the growing menace of gang wars. 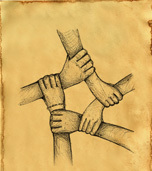 Your Team Members are the hands that work in sync to move the machinery tirelessly. They are ready to fight for the organization's growth. He shines light when one is in doubt. 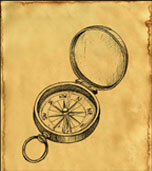 He shows which paths to take and which pitfalls to avoid. He is the friend, philosopher & guide, whom you can depend upon when problems arise. 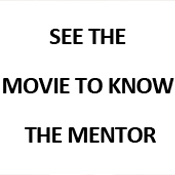 WATCH THE MOVIE TO FIND OUT WHO THE MENTOR IS. Vasudevan Srinivisan is a qualified HR professional with over 25 years of experience in the areas of Human Resource Strategy building, aligning Human Resource strategy to corporate strategy, People Development, and Internal communication. Director of a Training Content development company called CETC, Vasu meandered into film making through the employee communication route, and together with a gifted writer called Rajeev Rao, formed a company called “In Betweens” to make edutainment fillers between TV software. 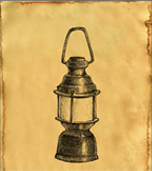 Rajeev, unfortunately and fatally succumbed to a failure of a critical body part and left Vasu alone to fend for himself. Leaving Vasu with no other option but to go back to his core skill of Human Resource management, made him look at the unexplored area of educational films for corporate in India. Over the last decade and half In Betweens has made over 100 customized educational films for various companies . The films have been on topics ranging from Leadership , Values, Customer care, Change, to Safe driving skills for companies such as HUL, Pepsi, Dabur, ABG, Microsoft, IOCL, HPCL etc. Vasu also facilitates programs involving senior management - not only in leading Indian organizations but also for companies in Europe, UK, the Far East, Bangladesh and Sri Lanka. He has immense experience in facilitating workshops in the areas of Vision Mission value articulation and translation, Performance and Competence Management and Leading High Performance Teams. He also brings extensive experience in developing engaging training content in a variety of areas and businesses and has presented papers in International forums. 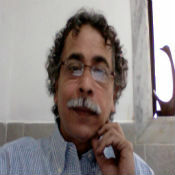 As a result, he possesses a unique skill combination of understanding adult pedagogy and film making. 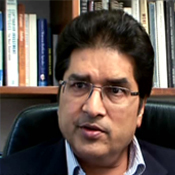 He is an alumni of the University of Delhi ,XLRI Jamshedpur and the London School of Economics and Political Science. He lives with his entrepreneurial wife in Mumbai, andwith the daughter studying to be a Lawyer. Radhakrishnan Pillai studied the ancient text "Kautilya's Arthashastra" at Chinmaya International Foundation, Kerala, under the guidance of Dr. Gangadharan Nair. Educated in the field of management and consultancy, he later proceeded to do his MA in Sanskrit and obtained a doctorate degree in the Arthashastra. He spreads the knowledge of Chanakya's relevance to business management to millions of people across the globe through his lectures, workshops, training programs, radio shows and articles. Director of SPM Foundation & Chanakya Institute of Public Leadership, University of Mumbai, he designs various leadership programs. 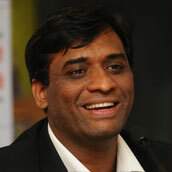 He is the recipient of the Sardar Patel International Award, 2009.